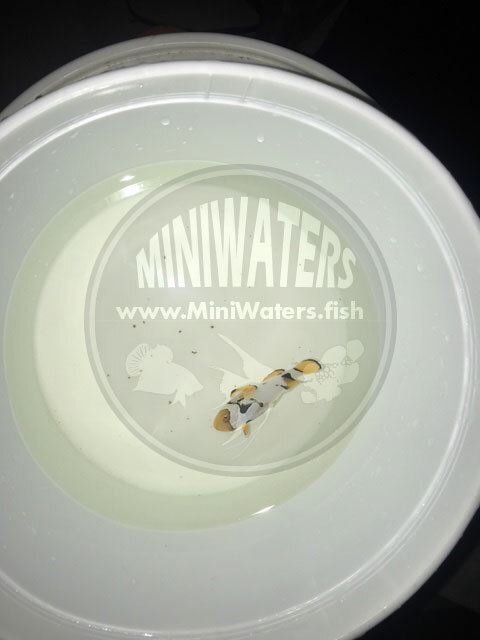 I always get disappointed when an order inquiry comes in from states that border our oceans…east, west, or southern coast, you’re all about as far away from MiniWaters as one could get. Unfortunately, this means I’m often coming back to you with a shipping quote from FedEx that is high (even after the deep discounts I receive); often higher than I’d ever want to personally pay. But there is a flipside; customers in the upper midwest have it downright lucky. While a customer in California might want their fish packed tightly in order to save on shipping, when I’m able to use SpeeDee Delivery to ship to you, well, I can GO BIG when sending your fish home. This is one such tale. 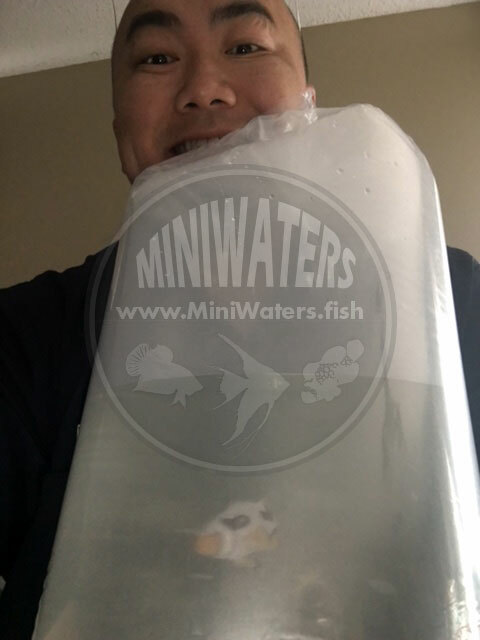 A new customer, who I’ll simply introduce as “Ray”, reached out to order a WYSIWYG A-Grade Bali Nebula Percula I had for sale, and he snagged this fish for $100 off during our Bali Aquarich sale for only $399.00. This fish matched Ray’s needs for a very specific breeding project he is working on; I’ll skip the details as I don’t want to give away Ray’s plans / ideas. Me and an A-Grade Bali Aquarich Nebula Percula. Check out all that water and air! 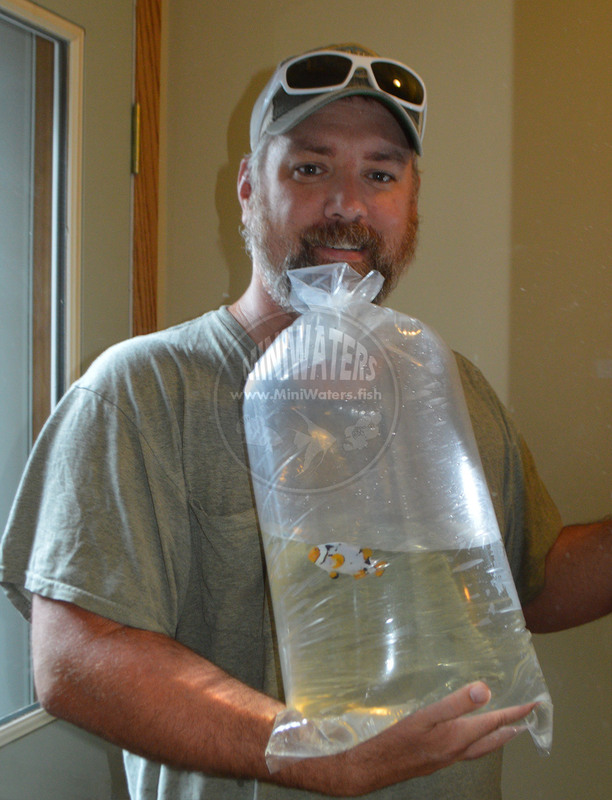 That’s right, a 12″ bag was used for this one 2.75″ fish; nearly 1.5 gallons of water, with equal amounts of O2 to match, and a tiny splash of ChloramX in the bag for ammonia control. That fish could probably live for a week in that bag. 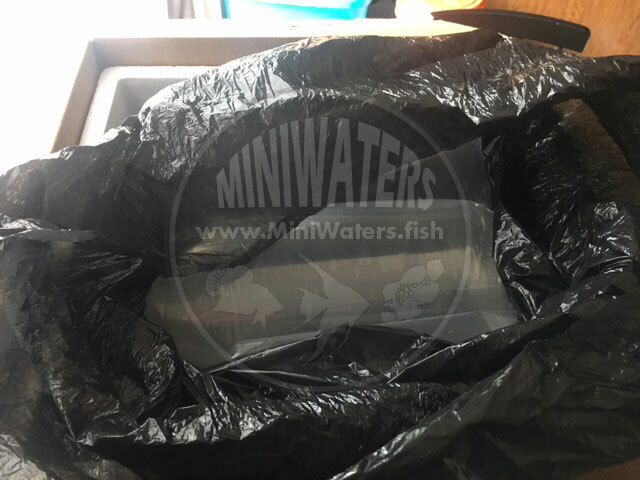 Don’t you wish EVERY supplier would bag your fish so generously? Now quadruple bagged, the Nebula Percula goes into the box with buffer bags on each side and a biodegradable liner bag to prevent leaks. That’s right, I furnished this one Nebula Percula with a full 17″ X 17″ X 10″ standard fish box! 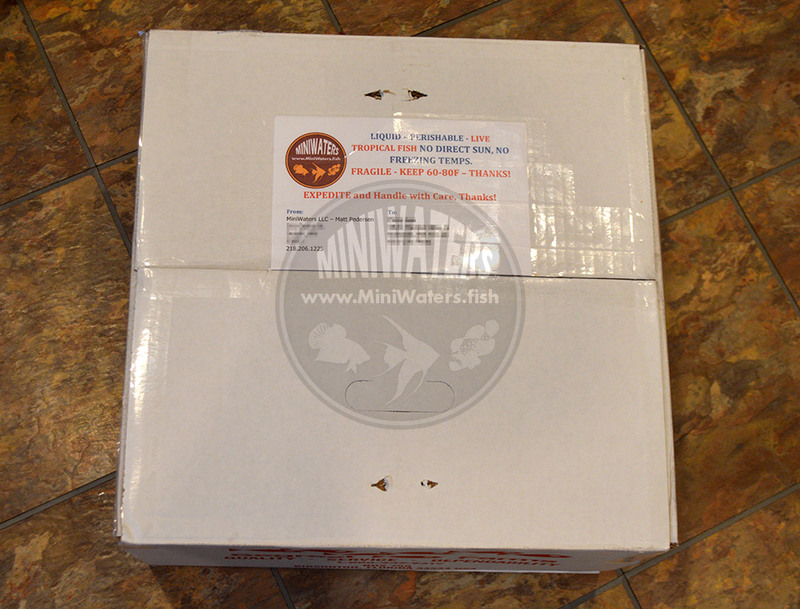 Nothing like reusing existing packaging and being generous to ensure the safety of the fish! We were also incredibly lucky that shipping temps within the region dictated that neither heat nor cool packs would be needed. The next morning, Ray sent me some photos! And the best part? I was “over” in my estimate, so Ray even got a $3 REFUND. This fish, shipped overnight, as packaged here, for only $7. If you’re in the white portions of this map, you are in the www.MiniWaters.fish 1-day (overnight) shipping area via SpeeDee Delivery. Now, I wish ALL my customers could get this kind of deal on shipping, but sadly they can’t. 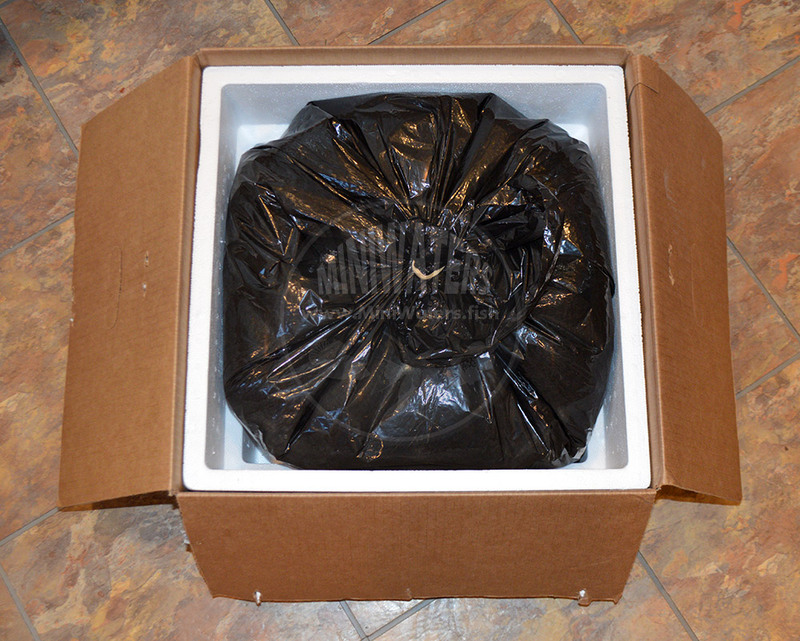 This same box probably would’ve shipped for $80 to $90 for a desination in California, New York, or Florida. Of course, SpeeDee isn’t “guaranteed”, but the staff has told me that the only time it won’t be overnight is if weather or an equipment failure gets in the way. But take one look at how I’m able to pack, and you’ll realize that a delayed shipment *probably* isn’t going to cause ANY issues. Sure, other companies have different shipping policies; I’m one to simply say “you pay what it costs, not a penny more.” For my regional customers, both wholesale and retail, using SpeeDee Delivery is simply the best deal around. Good luck with the breeding project Ray! 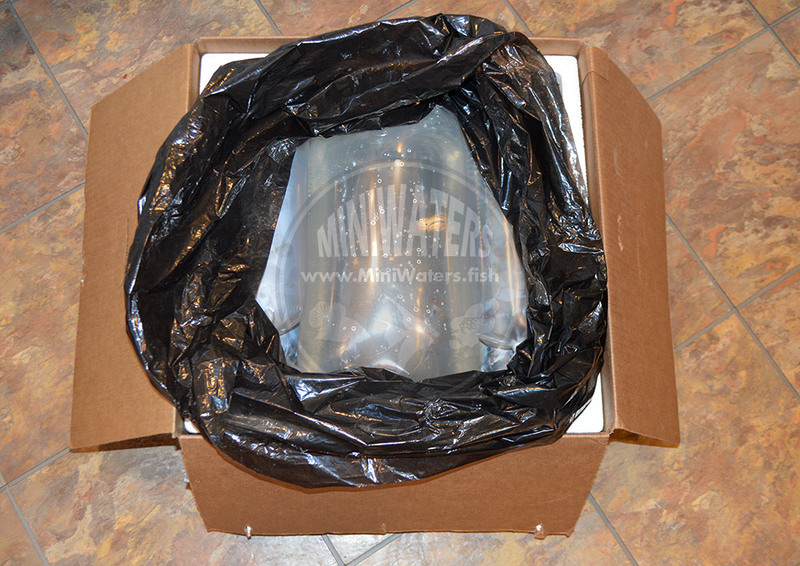 This entry was posted in Insights, News & Notes and tagged shipping, SpeeDee Delivery. Captive-Bred Yellow Tangs, Zebrasoma flavescens, Have Arrived!